There used to be a time when I was obsessed with M.A.C brushes, they were all I'd buy. The quality doesn't seem to be there anymore and I'd rather not spend the best part of £30 for a single brush that is sub par. I can think of better things to buy! 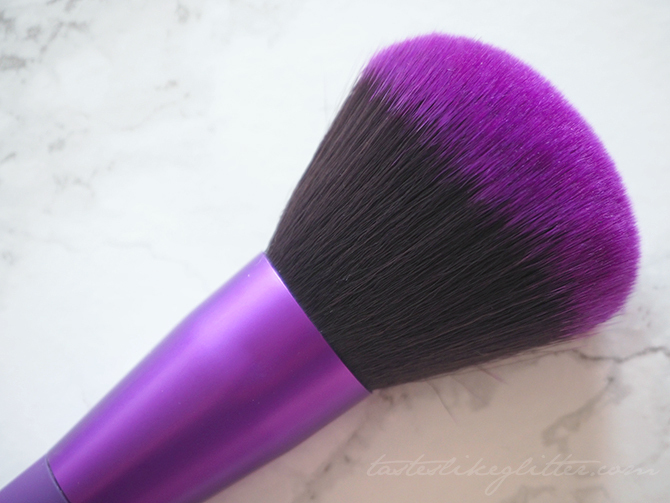 Plus there are so many companies out there now that have really great quality brushes, that are often cruelty-free and come with a decent price tag attached. Crown, Real Techniques and Zoeva are a few of my favourites. Along with Royal & Langnickel, of which I have one of their brushes I thought I'd talk about today. Especially since IMATS is coming up and they're the main sponsor. 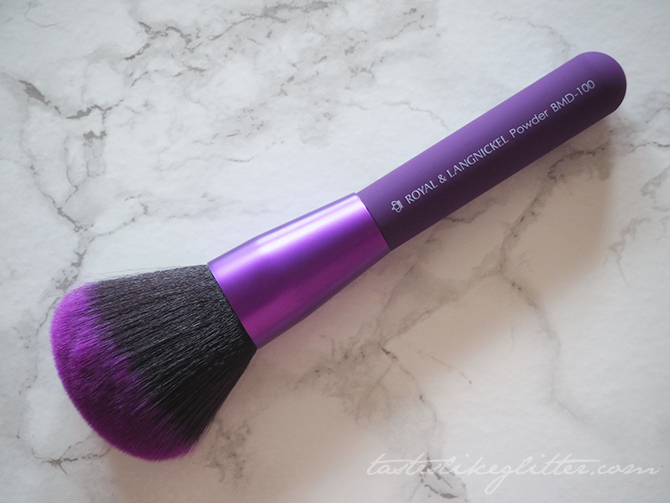 Last year Royal showcased the MODA range of brushes before they were available in the UK. A collection of 24 bright coloured, cruelty-free brushes. 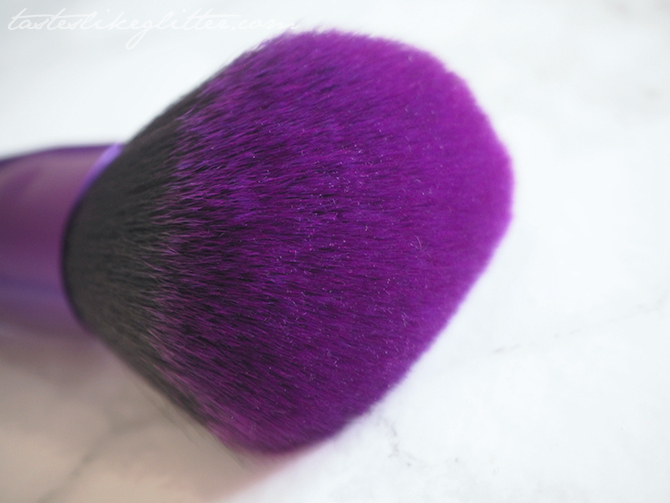 The MODA powder brush is large and fluffy. The vegan bristles are incredibly soft. It's one of those brushes that you can't stop brushing across your hands and face. As it's quite large it can pick up a little too much product but just tap that off and you're good to go. The handle is acrylic with a 'silk touch' coating which feels somewhat rubberized (reminds me of NARS packaging) which makes it waterproof and durable, all finished with a metal ferrule in the same matching colour as the rest of the brush. The bright colours are what drew me to the range and whilst they might seem like a gimmick, Royal brushes are great performers. If you're looking for a new powder brush that is fluffy enough not to cake, I cannot recommend this one highly enough.